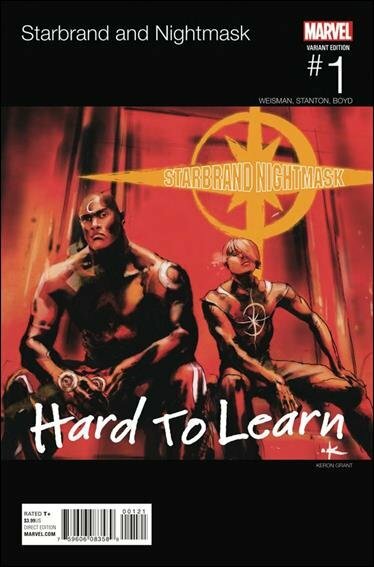 This is a listing for Starbrand and Nightmask #1 Keron Grant Hip Hop Variant Cover  VF/NM Marvel Comics. Two former Avengers with tremendous power - and almost zero life experience - are on their own, trying to find their place as heroes, cosmic entities and, college students? What meal plan will cover a cosmic metabolism? Can two all-powerful entities share a dorm room the size of roach motel? Can you safely teleport to Mars after partying all night long at your first kegger? Find out in Starbrand & Nightmask!